Economist Mario Monti, who was Prime Minister of Italy from 2011 to 2013, was born on this day in 1943 in Varese in Lombardy. 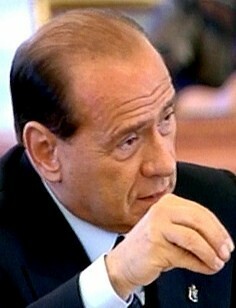 Monti was invited by Italian President Giorgio Napolitano to form a new Government after the resignation of Silvio Berlusconi in November 2011 in the middle of the European debt crisis. Monti, who was the 54th Prime Minister of Italy, led a Government of technocrats, who introduced austerity measures in Italy. Monti was born in Varese and, after attending a private school, went to Bocconi University in Milan, where he obtained a degree in Economics. He was a European Commissioner from 1994 to 1999, where he obtained the nickname ‘Super Mario’ from his colleagues and the Press. In 1999 the Prime Minister at the time, Massimo D’Alema, appointed him to the new Prodi Commission, giving him responsibility for Competition. He was made a lifetime senator by Giorgio Napolitano in November 2011 and a few days later he was invited to form a new Government following Berlusconi’s resignation. He appointed a technocratic cabinet composed entirely of unelected professionals. They introduced austerity measures to try to stem the worsening economic conditions in Italy. He announced that he would be giving up his own salary as part of the reforms. Monti resigned as Prime Minister after the 2012 Budget was passed, as he had always pledged he would do. 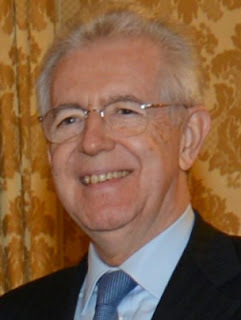 Since January 2014, Monti has been Chairman of the High Level group on Own Resources, a consultative committee of the European Union that will propose new forms of revenue for the European Union’s budget. Varese is a city in Lombardy, 55 kilometres north of Milan and close to Lago Maggiore. It is rich in castles, villas and gardens, many connected with the Borromeo family, who are from the area. 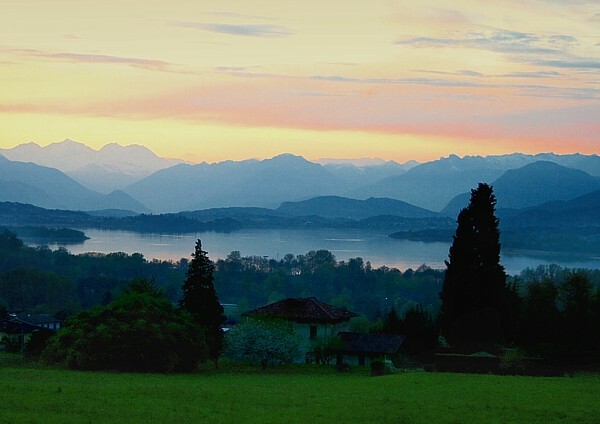 Lake Varese is 8.5 kilometres long, set in low rolling hills just below Varese. Bocconi University is a private university in Milan that provides education in the fields of economics, management, finance, law and public administration. It was founded in 1902 by Ferdinanado Bocconi and was originally located in Via Statuto near the Pinacoteca di Brera in Milan.